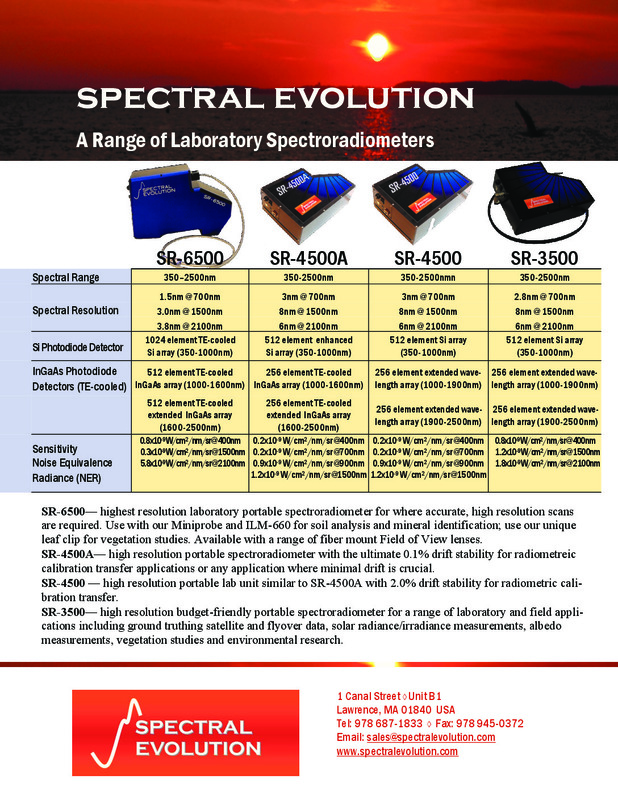 Q: What’s the difference between a spectroradiometer and a spectrometer? Which instrument should I buy? 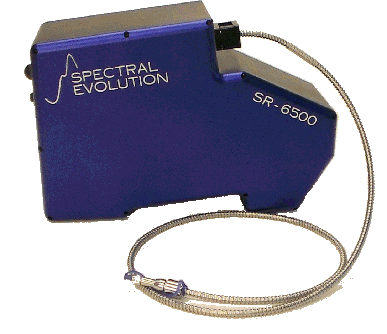 A: SPECTRAL EVOLUTION Spectroradiometers are factory calibrated with NIST-traceable reference standards to measure spectral radiance and irradiance . 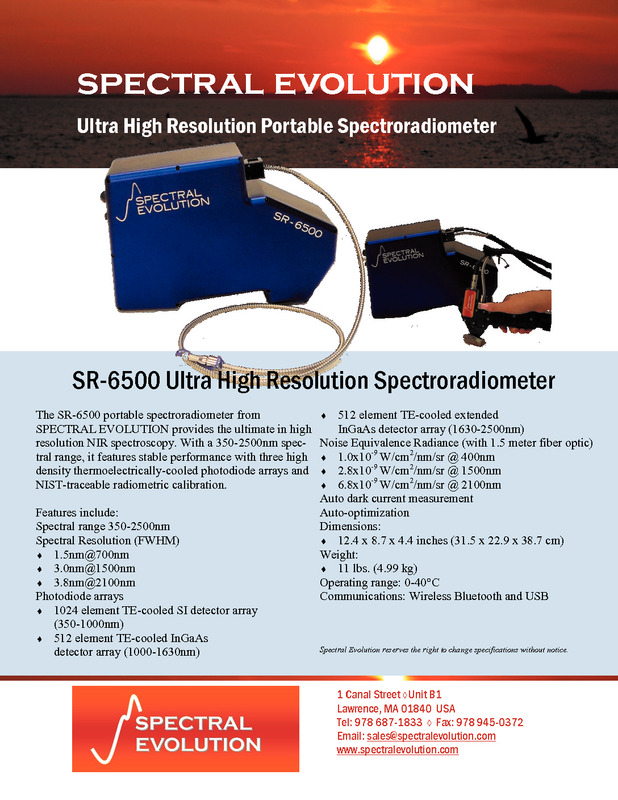 They can also be used as spectrometers to measure reflectance, transflectance, absorbance and transmission. If you don’t need to measure absolute energy levels of your target, then we suggest purchasing a spectrometer. 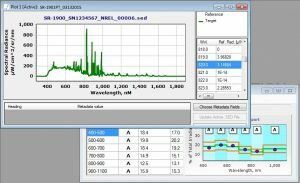 Click here to access our lab spectrometer page. 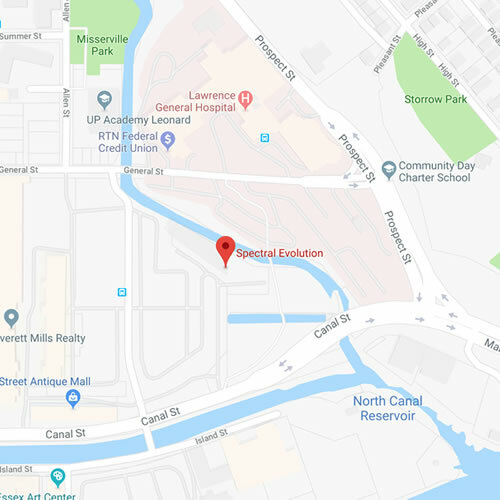 All SPECTRAL EVOLUTION spectroradiometers calibrated for solar radiance have capabilities for generating a spectral match report for measuring class performance as per IEC60904-9/ASTM E927-05. This is especially useful for measuring the performance of continuous or pulse solar simulators. 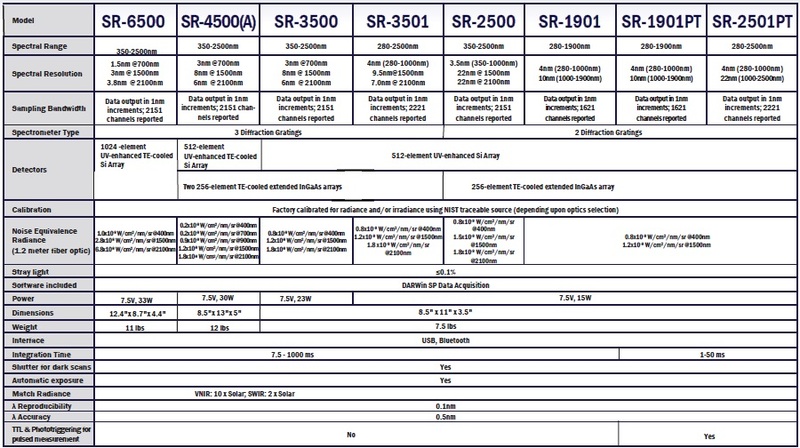 Validate the class of any commercially available solar simulator using the SR-3501, SR-1901, SR-2501PT, or SR-1901PT spectroradiometer as per IEC60904-9/ASTM E927-05. 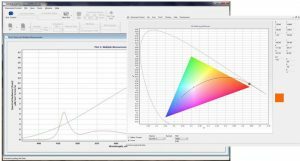 The graph was generated using the easy-to-use DARWin SP Data Acquisition and Analysis software included with each spectroradiometer. Built-in software routines automatically provide class status. 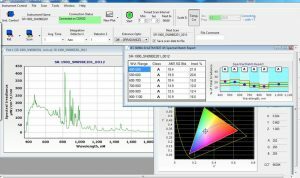 LED- Measurement: Rapid one-touch measurements of light emitting diodes can be obtained using the SR-3500 spectroradiometer and the companion DARWin SP Data Acquisition software included with each unit. 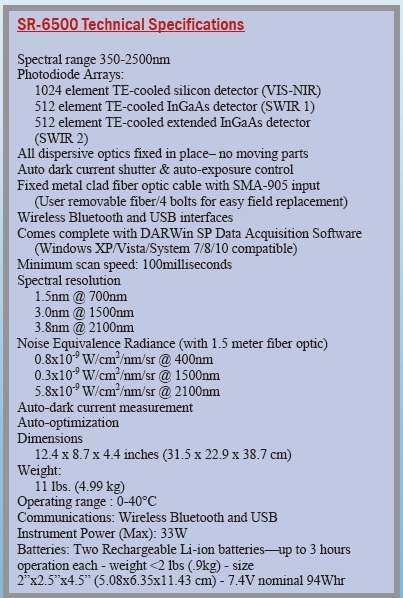 Here, the SR-3500 was used to measure the irradiance level of a commercially available LED.